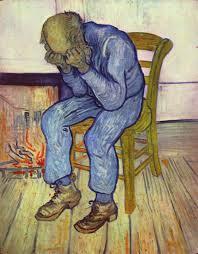 A recent study has unearthed important evidence around chronic depression and the causes of it. The study, conducted by scientist Mauro Garcia-Toro while at Columbia University, suggests that along with factors like previous bouts with depression, a childhood history of sexual abuse puts a person at much higher risk for chronic depression, which is generally categorized as depression that lasts 24 months. Among the depression patients studied, those who had a history of abuse reported that during bouts with depression they recalled instances of abuse. There was also strong evidence that those who suffered from the longest stretches of depression were far more likely to have been abused in the past. This seems to suggest that the stress associated with being the victim of abuse alters a person’s brain, making them much more likely to become depressed and much less likely to quickly recover from a depressive episode. Female children face sexual abuse in much higher numbers. This fact, along with data that correlates a history of sexual abuse with very severe depression, sometimes lasting five years or longer, suggests that of the adult women who suffer from severe depression, half of them were sexually abused as children. Depression can be a very severe disorder that drastically affects a person’s ability to live a normal life. Unlike some other mental conditions, depression has a complicated list of causes that are generally both hereditary and environmental. A person who already has a predisposition to become chronically depressed will become even more susceptible to depression in the event that they are sexually abused as children. Because sexual abuse and the trauma that surrounds it has a profound effect on a person’s brain chemistry, genetic factors that contribute to depression may become exponentially compounded when a child is abused. Findings that help identify roots and causes of depression help mental health professionals develop appropriate strategies for helping patients overcome depressive episodes. Understanding the degree to which a person’s background is contributing to the length and severity of their depression can give important clues to the best way to strategize for recovery. Unfortunately depression often leads to substance abuse and can create co-occurring disorder for a patient. Finding solutions for chronic depression is very important as depression is often a precursor for other serious mental health issues. Individuals who struggle with depression are far more likely to exhibit compulsive behaviors such as disordered eating or substance abuse. Often, depressed people suffer from low self esteem, which is also very much linked to sexual abuse. Addicts who suffer from depression and low self esteem tend to turn to drugs and alcohol as a means of dealing with complex and painful emotional issues. Depression only becomes more severe as an addict falls further into substance abuse, as does an addict’s tendency towards having a low self image. This becomes a very vicious cycle, as the strength and confidence it takes to move toward sobriety become more and more scarce. As more studies are done examining the link between depression and abuse, victims of childhood abuse can hope to find more and more effective help in overcoming the trauma of their childhood. With the right support, it is possible to regain a healthier mindset and to find tools that can make life seem livable again. If you or someone you know is suffering from abuse and is struggling with addiction as a result of depression, seek help now so that you may begin working toward a happier and healthier life as soon as possible.